Order in next 3 hours and 17 minutes for despatch today. This replacement drop catch is for flap over handbags. 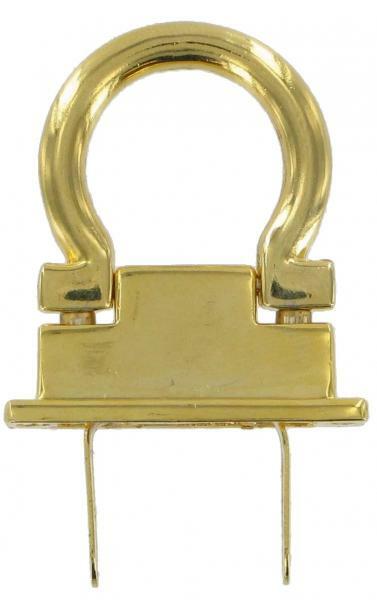 It is Brass coloured and is made to locate through a brass opening (not supplied) on the flap of a handbag. This part is NOT a complete unit and will only be useful to you if you have broken this particular part. This range of replacement parts is useful for practically minded people, who have a broken handbag they do not want to part with and who do not have a saddler or luggage repairer in their neighbourhood.